We haven't heard much from the R&B group Day 26 since their departure from Bad Boy records back in 2009 and move to Atlantic records. They're were also many rumors and much speculation as to why group member Qwanell "Q" Mosley left the group, than later a single and music video by member Willie Taylor surfaced on Bossip.com which lead many to believe the group was no more. We all assumed the Diddy curse still lived on, In which you have at least two studio album releases than you disappear into to a block hole and no one hears from you again. Artist such as Mase, Craig Mac and groups such as 112 and Total have all fallen victim. 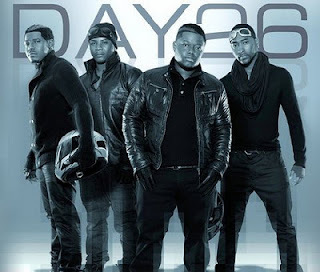 Day 26 has set out to break this spell and show that there is actually life after Diddy with their most current project appropriately title A New Day Coming. Although they are now one member short i'm sure it takes nothing from the talent that this group has. Taken a lesson from their Bad Boy days, and MTV's making the band 4, they have documented this journey on a web series. So, we can once again watch as the process unfolds. The voices, the talent, the struggle and fights. I'm sure it will be very entertaining and will definitively give you enough music exclusives to convince you to purchase their album.